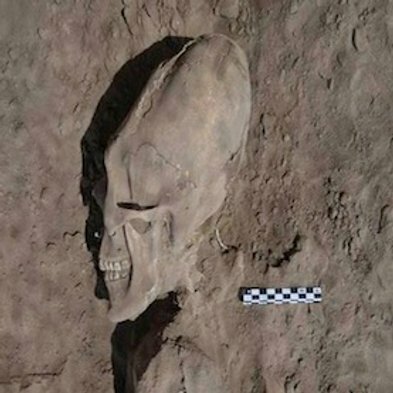 The recent discovery of the skull (above), from Sonora, Mexico has promoted a wave of articles proclaiming it, and other similar examples to be evidence of ancient alien contact. Images of elongated skulls or 'cone-heads' can be seen as far back as Sumerian and Egyptian times, but the act of cranial deformation can be traced as even further to 45,000 years ago, suggesting it's importance surpassed the safety of the child even then as cranial deformation is invariably carried out on infants while the bones are supple and flexible and can be fatal in cases of excessive deformation, which raises the important question: What was it that has led so many people from so many varied cultures to incorporate this characteristic into their children? 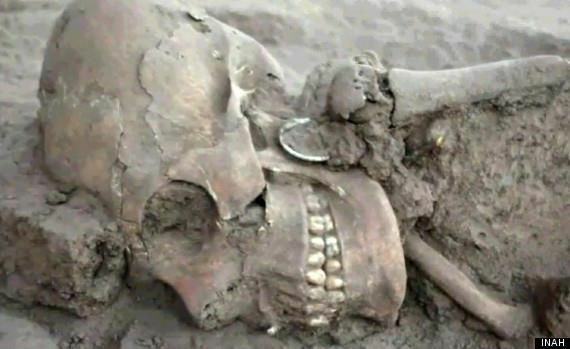 This image below is another recently found elongated skull found in Mexico. 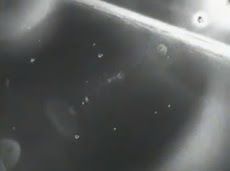 'Cranial deformation can be defined as the product of “dynamic distortion of the normal vectors of the infantile neurocranial growth through the agency of externally applied forces' (Moss, 1958; p 275). As noted above, the cultural preference for elongated skulls has found its way onto every continent on the earth suggesting a cultural connection of great antiquity, and therefore one of potential importance. In the earliest Sumerian Al Ubiad pottery, there is a clear association to the gods, and variations on the idea that it was a symbol of status, high rank, or wisdom have been recorded in the traditions of differing cultures around the world offering a common theme that exists in the minds of people to this day. The pertinent question with regard this phenomena is whether or not such cranial deformity dolichocephaly has ever existed naturally in humans, and if so, what is the significance of such persistent emulation through artificial deformity by so many peoples for such a long time. The earliest known examples of intentional human cranial deformation predate written history and date back to 45,000 BC in Neanderthal skulls, and to the Proto-Neolithic Homo sapiens component (12th millennium BCE) from Shanidar Cave in Iraq. It also occurred among Neolithic peoples in SW Asia. (1) and even greater antiquity has been assigned to dolicho-anomalies at Neolithic-Cyprus, Kow Swamp, Australia (13,000 BP), "and perhaps 18,000 - 23,000 BP. at Chou Kou Tien, China." "14. I will pass over the smaller differences among the nations, but will now treat of such as are great either from nature, or custom; and, first, concerning the Macrocephali [tribe or `nation' said to be living beyond the Bosphorus / Black Sea or maybe even further i.e Scythians. There is no other race of men which have heads in the least resembling theirs". "...At first, usage was the principal cause of the length of their head, but now nature cooperates with usage. They think those the most noble who have the longest heads...". "It is thus with regard to the usage: immediately after the child is born, and while its head is still tender, they fashion it with their hands, and constrain it to assume a lengthened shape by applying bandages and other suitable contrivances whereby the spherical form of the head is destroyed, and it is made to increase in length". The act of artificial cranial deformation on infants was present in numerous ancient cultures, including some of the greatest, such as the Indus Valley, Sumerian, Egyptian, Olmec, Mayan, Inca etc etc... At present, such practices are all but gone but they were recorded into the 20th century with records of 'Some isolated groups in Africa and South America who continue this practice'. 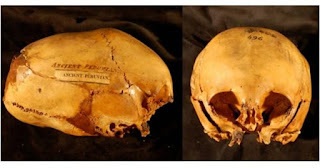 Of particular interest are those peoples which have been recorded to show a 'natural' or genetically inherited tendency for elongated skulls, as it has been shown that the biological result of such deformation is a larger skull, but perhaps more significantly, a larger brain. Something which offers a clear incentive for such potentially dangerous practices on newborns, but also one which takes on a different light in consideration of the persistent veneration for elongated heads. It has been mentioned that skull elongation was present all around the ancient world, appearing in several different and apparently unrelated cultures. The following examples offer a basic representative description of the similarities and differences in the practices of skull deformation between these cultures. The basic procedure of moulding the skull was carried out on infants as their cranium is soft and pliable while they are in their early years. It involved attaching a plank of padding to the front of the skull and compressing it into the desirable shape. It will be seen that there is a suggestion that elongated skulls may have been a genetically inherited trait in some cases, while the majority of known examples are demonstrated to be an emulation of this. 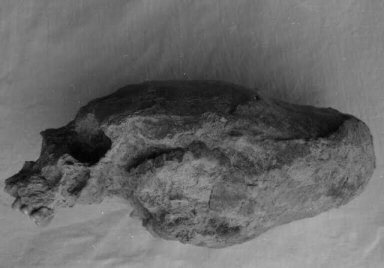 Early-Neolithic deformed skull from Iran, Wikipedia image: these skulls are common from about 5,000 to 7,000 BC in the areas that would later become Iran and then diffusing out into the surrounding territories. Many skulls in the same time period from Iraq, Southern Turkey and Syria are also deformed but not usually so severely. In later historical time many of the Iranian-speaking nomads of Central Asia continued the tradition and eventually the trait was introduced into Europe from the East by the invasions of the Huns. (8) In the Old world, 'Huns' and 'Alans' are also known to have practised similar cranial deformation. At around AD 300-600, the East Germanic tribes who were ruled by the Huns, adopted this custom. The earliest significant record of skull elongation comes in the form of the pottery representations of the Gods from the 5th millennium B.C. The Al-Ubaid culture proceeded the Sumerian culture was a people known as the Ubaidians who established settlements in the region later known as Sumer (Mesopotamia) It has been noticed that there are very strong similarities between the Ubaid artwork, and that of of 'Old Europe' Vinca Culture which flourished c. 6,000 - 3,500 BC. John Marshall’s “Mohenjo-Daro and the Indus Civilization” as well as “Anthropology” (by Ram Nath Sharma, Rajendra Kumar Sharma) in addition to Al-Ubaid burials, wrote that cranial deformation features were also seen of skulls of Kish; Ur of Mesopotamia; Additanallur in Madras; Veddahs of Ceylon (Sri Lanka); Naga of Calcutta; jar burials of Harappa; Mediterranean; Nal in Baluchistan; Sialkot in Punjab; and Bayana (Aryan skulls) in Uttar Pradesh. Marshall makes a comparison between the elongated Al Ubaid skulls and those found from the Indus Valley Civilisation, noting that the Al Ubaid skulls are 'Not as elongated as those from Mohenjo-Daro'. Sumeria: (Mesopotamia, 'The Land Between Two Rivers'). The Sumerian civilisation developed on the Persian Gulf, growing to strength at around 4 - 3,000 B.C. The 'Plain of the Land of Shinar' is the territory which after 2,000 B.C. became called Babylon. The Greeks named the region Mesopotamia (The land between two rivers), most of which lies in the modern state of Iraq. 11. 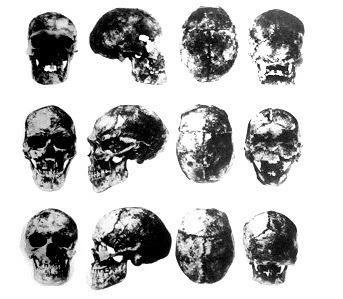 (Aryan skulls) in Uttar Pradesh. Marshall makes a comparison between the elongated Al Ubaid skulls and those found from the Indus Valley Civilisation, noting that the Al Ubaid skulls are 'Not as elongated as those from Mohenjo-Daro'. The Sumerians are amongst the first people to leave sophisticated records of their astronomical observations therefore the first ever to chart space. Their fascination with the heavens is apparent in the large number of seals and cuneiform tablets unearthed of an astronomical nature. 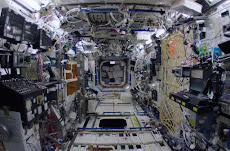 It's fascinating that the first writing sytem ever invented had such an indepth knowledge in writing form of the heavens and was able to describe, label and title what they saw and what they didn't even see in space? That's always fascinated me and has always roused my suspicions because this is obviously my own opinion but it must be a given acount of what's in space because they didn't even have words for them, it's like they invented cuneiform and had every word already invented? Cuneiform didn't evolve, it didn't come from another place or of another peoples and it wasn't a part writings and another part of writings, it was unique and straight out of nowhere! It just apeared overnight. One day it didn't exist and the next it did exist. 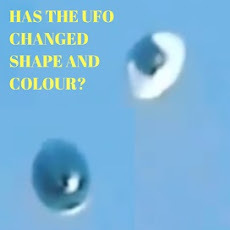 That is incredibly unlikely, it's incredibly suspicious and it's in my own view a gift from Aliens. The Sumerians were the first to divide both space and time by units of six. The first written documents, from around 3,500 BC, are receipts and lists of items. 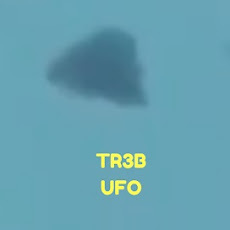 This naming of the zodiac signs as the shiny herd is just another reference to spaceships but their own language as they are describing metal ships in herds and as the zodiac signs depict the constellatiions and star signs it would stand to reason that they are refering to a floatila or a formation of UFOs maybe? The Sumerians called the twelve major zodiacal constellations the 'Shiny Herd'. 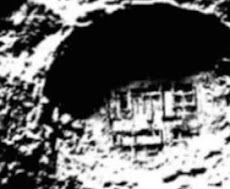 My research on this subject (ancient Aliens and ancient anomalies) is still evolving, it's still ongoing and I have no way scratched the surface on any of the information which is still out there? I have got a lot more to do. It is something that I always keep looking and researching on this subject because it's fascinating. 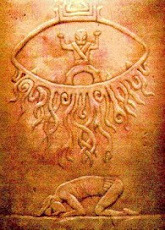 I always keep coming back to this subject because the ancient Sumerians as far as I'm concerned have the answers to ancient Aliens and they have the answers to the future of Alien contact because I believe it's the same Aliens who contacted the ancient Sumerians that will one day contact us modern day human "and do it in public"? You don't have to believe this but if you do believe in Aliens then you must believe in contact at some time in history, right? Well what about contact in the future or right now in the present day? What if Aliens are in contact right now but with our governments and they won't allow the Aliens to reveal themselves to the public - unlike the ancient times rulers who probably allowed it. 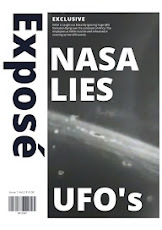 The governments of now have leverage by the means of massive "futuristic" weapons to challenge any and all Aliens maybe and will not allow them to be revealed in public? My opinions and thoughts are always on going, it's a human thing - they evolve. It's human nature to constantly be thinking especially about the things ones interested in like ancient Aliens and the whole Ufology and conspiracy theory? "A penny for my thoughts." There has been many, many elongated skull's (politically correct way to say Alien skulls) found everywhere in the world. Quite literally everywhere. Just check out the post I've researched and you'll see just what I'm talking about? 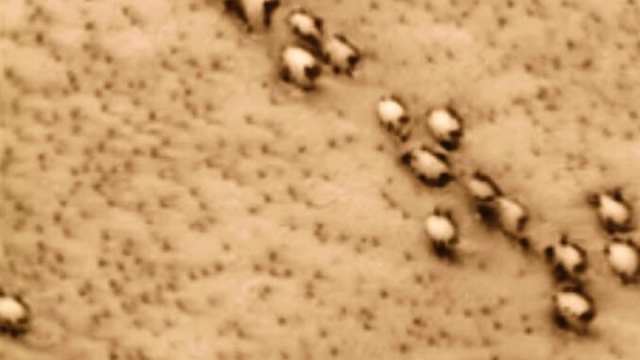 To me this means that Ancient Aliens where everywhere and had infiltrated the human race? If we find really elongated skulls and they are everywhere on every continent and in every race then we have Alien DNA already inside of us and this is maybe why we sometimes have geniuses and people with exceptionally brilliant skills and they never even studied it? It just came naturally to them, well that basically means it's in their DNA, right? So my opinions are this; We've been a hybrid since the first mass Alien infiltration on a massive scale because it must of been a massive undertaking if we are seeing elongated skulls everywhere and taking that if the skulls are representative of the Alien species then we've been taken right over, we've been infiltrated and it's probably where the Bible saying comes from that we were made in Go/ds image? We were basically designed, deliberately hybridised and rolled in to one? This would explain our rapid intelligence capabilities and our rapid civilisation of this planet and our rapid (no, excelling) at technology know how? Our abilities are unending and not measurable. But, pre inter species relations or pre hybridising we was a really dumb, shell for want of a better word and maybe that's why the Aliens did what they did? They saved themselves and their souls and their conscience their essence and their whole capabilities was literally encoded in to our DNA. We was mapped out knowing that one day we will again be able to decode this information and our true history would be alive once again, but this time they or rather us will be in a far better position with a stable body that isn't deteriorating and that is my opinion! What Is Splitting The Atmosphere Clouds?